How do I know I’m old? Not because another birthday has come and gone and not because I’m married or own a house. 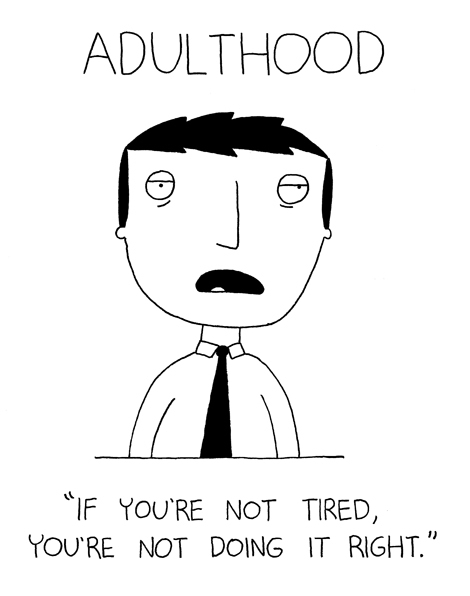 Certainly not because I put on a tie every morning (you need not be old for that). No. I know I’m old because I get upset when I’m not allowed to be productive. I, as I now realize that all adults must, have a never ending and constantly growing to-do list. And, as a borderline obsessive completionist, I like to make active progress on this to-do list as often as I can. So when someone, say an irresponsible electrician who does not show up for the appointment that we’ve so carefully scheduled, forces me to waste time – time that I could have otherwise spent doing something, anything else on that to-do list – fruitlessly waiting on them, well, I don’t take it very well. How do I know that I’m old? Because I’m mad about not being able to be productive on my lunch break. God, what’s happened to me?